Alex the lion and all his friends are back with a new adventure. Now the lion has a nightmare about himself and friends getting old in Africa. Then he wakes up from his terrifying nightmare on his birthday and his friend gift him a tiny model of New York out of mud. 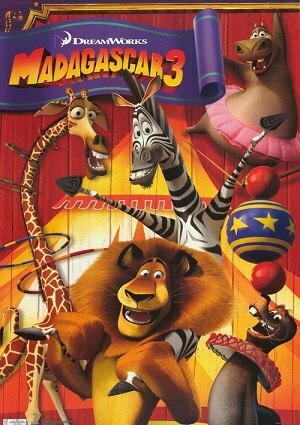 Alex suggests to Marty, Melman, Gloria and the lemurs that they should go travel to Monte Carlo to get the penguins and the chimpanzees, Mason and Phil, to fly them back to New York City. They agree to do and in Monte Carlo, Alex and his band attempt make a chaos in the Monte Carlo Casino, so its security calls the animal control. The captain Chantel Dubois, need to deal with the animals and make their vacations full of chases.